I like this movie, Gene, and I think anyone who disagrees with me is bald. Joy! Finally made my way out to the movie theater again, this time to catch, on consecutive nights, a disappointing film and a really excellent one. Saw “Zoolander” on Sunday, and discovered that they do still make movies where the funniest stuff–and I mean all of it–is in the trailer. The presence of Ben Stiller and Owen Wilson is the only thing that elevates the film anywhere beyond a low-grade SNL movie like, say, “A Night at the Roxbury”–which coincidentally also stars Will Ferrell . 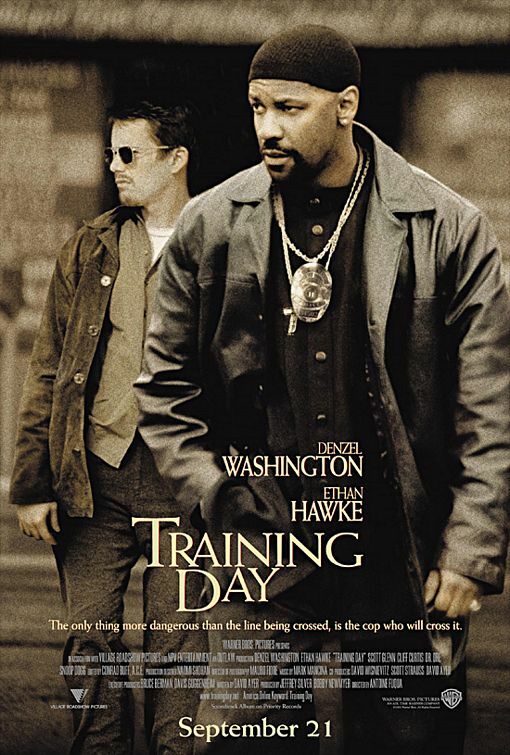 But then, on Monday, I sat in a theater and experienced “Training Day”. Phenomenal. Even the script convolutions and rather trite showdown sequence at the end cannot destroy a movie so craftily anchored by Ethan Hawke and the Thespianic God that is Denzel Washington. I was even able to forgive the “boom boom booms” that Washington’s Alonzo Harris peppers through his speech in a clearly reminiscent punctuation-style as Al Pacino in “Scent of a Woman” (HOO-Ha!) because he’s so snaky and slippery, and I’m still not sure I disagree completely with his philosophy of street justice. And then, last night, for dessert, I feasted on “Once More, With Feeling,” the musical episode of “Buffy The Vampire Slayer,” thereby pushing Joss Whedon a whisker or two above Aaron Sorkin among my favorite TV writers. Sorkin’s good, and he’s got rhythm, but I doubt he could write such a lively, funny, and poignant piece of musical theater as Whedon gave me last night. Shame on the Emmys. Shame, shame, shame on them. My sister has found an apartment in the city with her male friend Joe, leading my mom to plead with me to talk to her, because it looks bad for her to move in with a male, even if he’s not her boyfriend. I’m annoyed with my sister for constantly putting me in this position, even if it’s not necessarily her fault. On the other hand, this should be something they work out between each other. I’ve been a bad spender this week…bought more books from the bookstore than I should have, and am seriously contemplating rushing out tonight to buy the final installment of the PlayStation’s “Syphon Filter” trilogy. Maybe will. Maybe will not. Feeling good about myself, as I’m feeling capable of finishing that play I started and lost and found and then set aside while I pursued the Neo-Futurist job. Definitely sure about the second draft, I just need to put the time into it. Perhaps that’s what I should do know, instead of just talking about it. I don’t much care for Will Ferrell. He’s always Will Ferrell, even when he’s supposed to be playing a character of some kind. His Dubya impersonation is much more in line with Chevy Chase’s nonpersonation of Gerald Ford than with the geniuses before him (Dana Carvey’s George Sr., Phil Hartman and Darrell Hammond’s Bill Clintons, Hammond’s Al Gore, Norm MacDonald’s Bob Dole). I will admit, however, that his beleaguered straight-man Alex Trebek, while still a terrible impersonation, suits the Celebrity Jeopardy sketch so perfectly that he doesn’t at all detract from the inherent and surprising hilarity of each installment. 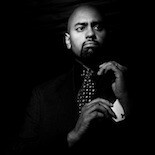 This entry was posted on November 7, 2001 by bilaldardai in Life, Movies, Writing.